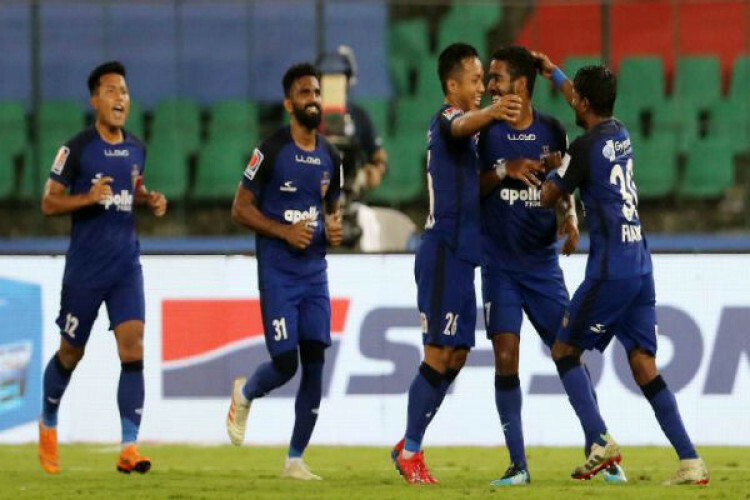 Chennaiyin FC claimed a much-needed win against table-toppers Bengaluru FC 2-1 in a closely-contested ISL clash on Saturday. After withstanding some early pressure from Bengaluru, Chennaiyin roared into a two-goal lead with fine strikes from Jeje Lalpekhlua (32') and Gregory Nelson (43'). Sunil Chhetri pulled one back for Bengaluru FC in the 2nd half (57') but the home team held on for all the three points.